This is a page for all of BTACD's unique items and weapons, materials and metals, from common items such as the Soulgem, to one of a kind weapons, like the Yarblade of Linath. These items can be found anywhere IC, without having to buy them or win them in an event; they can pop up anywhere IC, though their rarities are somewhat more vast when compared to shop items and those won in site events. Description: The rune-marked pendant held by leading members of the Onyx Faction. If a leader is found without this gem, their respective superiors will generally hunt them down and kill them for insubordination. 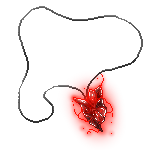 Description: The rune-marked pendant held by leading members of the Ruby Faction. If a leader is found without this gem, their respective superiors will generally hunt them down and kill them for insubordination. 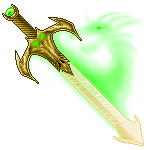 Description: A runeblade is a sword - or other weapon - endowed with specific magical runes. Most often, they have kv'naer runes set along the metal, weaving spells that are activated when the sword is used in battle. Others may use other types of runeworking, and may have much darker effects. Description: A rare gemstone formed of the solidified, hardened and complete essence of a soul. Generally, these Soulgems will be no bigger than an inch and a half in diameter, and are colored the same as their original host's aura. Condensing a living soul into a Gem is considered a forbidden, dark magic, as it often leads to the victim's death. Description: A special class of weapon thought to have initially been concepted by the Spirit Kings; these are unique swords, knives, bows or other such instruments fused with the spirit of one who's departed. May be made in a variety of ways, and power can vary depending on how strong the soul within was in life. 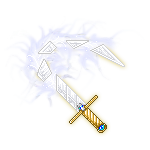 Description: A much rarer variant of spirit-weapon tied to the Realm of Xaeri. These weapons were once guardians of Xaeri, and each one has ties to a specific landmark there - when the weapon is destroyed, the landmark in Xaeri begins to degrade and die. All Xaeri spirit weapons have two unique forms, usually one animalistic, and one humanoid. These items are bought in the Shop, on the forum. Sometimes, these will rarely be available as event prizes. Please remember that these are IC items, and none of the items related to character species, abilities, etc are located here! Please note that these are just items created by the admins! Player-shop items are not shown here unless officially accepted and given away by the staff. If you want to make your own unique item, trinket or weapon, go right ahead! Description: The Fermyntia is a prism-like gemstone that focuses the holder's reiatsu into a physical manifestation of their mindbeast. As long as the bearer retains contact of the jewel, their mindbeast will be summoned to their side, able to move about as a living beast at its master's command. It's also said to grant access to the mindscape, but how, no-one knows. Description: Said to be frozen god tears, they come in two varieties; Blessed and Cursed. It's said that drinking of a Tear will bestow one of the two. They are about the size of a woman's fist, completely opaque when frozen and only thaw in the presence of a desert dragon's fire. When thawed, one kind will have a faint bluish tint, the other green, but it's long been forgotten which is which. 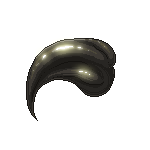 Description: Shed feathers from Linath's wings; they're very small, and very soft, about the size of a man's thumb. Each feather is said to protect against unholy curses and grant true sight able to penetrate any illusion; they're also said to protect against poisons, venoms and harmful gases. Description: The Phoenix Tears are the frozen, jewellike tears shed by a mortally wounded phoenix. Crystallized upon being shed, they're about the size of a bird's egg, though this varies phoenix to phoenix. These gems come in pairs, and are a rich, deep red once bonded to a particular pair of beings. They allow contact over long distances, even between Realms, and flare with light when one of the pair's bearers is wounded or in grave danger. Each one's light will be brighter according to the injury's severity. They lose color completely when one of a pair has died, or the jewel is destroyed. Description: A scale from Dhath himself, the god of darkness and leader of the Dark Five. It has the ability to grant nearly any wish, at great cost - the greater the wish, the greater the cost will be. As such, too large a wish may cost the user's life, and some may be too vast to fulfill with a single soul's sacrifice. As the Scale only affects the holder, things like the genocide of an entire race, or killing a individual or number of individuals, is impossible. Likewise, reversing the wish is impossible, as the Scale can only be used a single time. Description: Time's Scale is a jewel like no other; comprised of one of the god's multicolored scales, ever-changing in hue, and exceptionally powerful. Has the ability to bypass portals and Markers, traveling between Realms just like a god or Ether Spirit. Description: A gemstone with wind swirling inside of its hollow, glasslike surface. 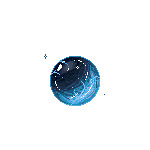 Has the ability to change the weather if concentrated upon; but if used more than three times, the gemstone will shatter and will be rendered useless. Description: Not to be confused with a Soulgem. Also sometimes called a Spiritstone or Soultrap, it is a gemstone that is much like a fusion of energy-storing jewel and Soulgem. When its possesser dies - most often in the middle of using that energy - part of their soul is trapped within the gem. One can then take this gem, access it with their mind, and speak to the one soul that it's connected to. Varying degrees of strength dictate how much energy is used, and how the gem is used; weaker minds can only talk, where stronger minds can actually summon the spirit temporarily in the living Realms. The spirit connected to this gem has no guarantee of answering; sometimes, they may not respond at all. 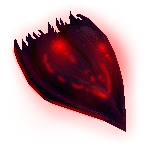 Description: When a Realm is about to die, the Veil begins to disintegrate and the Void begins to eat away at the world it has held. 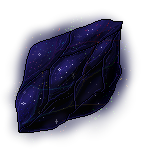 During this time, Voidstones may be created - where the Void's energy becomes crystallized, and falls to the earth as small fragments of light-absorbing black stone. 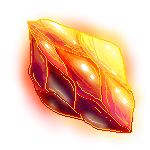 These Voidstones, when found, grant those that hold them incredible abilities over darkness and dark energy, the ability to devour corrupted magic, and an innate power to traverse Realms without the Markers. However, the Voidstone will also eradicate other abilities, and render the holder unable to access other elements. It poses a constant drain on their lifeforce, and will eventually begin eating away at their physical forms until there is nothing left. These items can only be won in site events; either during holiday events or Monthly Contests. Any may also be won via Referral Points in our referral program! Description: Grants limited bursts of cold-based reiatsu. Think of frozen grenades; they explode when they touch a surface warmer than themselves, with the exception being the first being to pick them up - they can then be worn safely by the bearer. Description: Shattered fragments of bones kept in a small vial. Enchanted to act as a deadly poison - if a single shard is placed in food or a drink and consumed, the subject will become violently sick for five to sixteen days. If weakened enough, they may die, though the effect varies by individual. 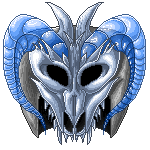 Description: Dragon skull that grants the user necromantic abilities, and the power to control the wayward undead. Also grants the ability to talk to lost souls, and see ghosts. The Bonebreaker was said to be a dragon mage of great power, who's first kill was a dragon itself; this is the result of his workings. Can be reactivated, when the magic runs dry, by coating the skull in dragon's blood. Description: Small group of bones that are carved with specific symbols, as well as minuscule kv'naer runes. Used to toss and tell the fortunes of others, and able to pick the paths of destiny quite accurately. May break if used too often. Description: One of the Realms' most powerful protection charms. Grants the user the ability to summon barriers that protect against harm, utilizing the god's own reiatsu. When placed near dying plants, will bring them back to life. 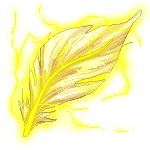 Description: A large feather of bone white and gold, shimmering with power. It grants the holder the ability to inflict a disease or cure an ailment depending on their intent. Do note that not all diseases and ailments may be affected, and the item will disintegrate after a single use. Description: An incredibly rare gemstone, said to have come from Death himself. 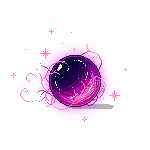 It is a full foot in diameter and very heavy - it glows and crackles with energy, and may burn if touched for too long. The energy within it may be used to bring a single character back to full life, body and soul, completely and permanently. 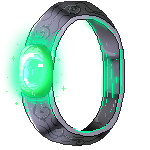 However, this can only be done once before the gem will crack and the color and power will fade, rendering it useless. Description: Also known as the 'Skygems', these round gemstones somewhat resemble Soulgems in their color and size. However, they are not solidified spirits, but rather crystallized magic, condensed into a gemstone form. Grants the user considerable power, usually over a particular element. Often fashioned into pendants, though some are held and used in-hand. 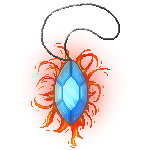 Description: A talisman said to be the partial Soulgem of Hades, the First Yiboril. Only six of these talismans exist - but they are very powerful. 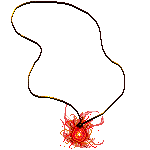 Each one allows access to Hades' reiatsu, a nearly limitless supply of magical energy; however, using one of these talismans eats away at one's spirit until they are left a hollow husk. These talismans seem to have some semblance of sentience, a part of Hades' immortal spirit. As such, the user's fragmented soul has a chance of becoming a yiboril before it is entirely consumed, but the talisman is rare to make the needed connection. 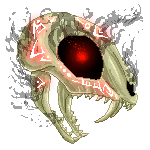 Description: The skull of a large hellcat, decorated with runes and infused with the soul of its former owner. Grants incredible vitality, agility, and catlike grace to the one who holds it until the energy runs out (usually a matter of several hours, days if used sparingly). Description: Skull fashioned into the shape of a hellhound's. It's said to grant special access to the Spirit Realms, as well as the ability to bypass portals like an Ether. Created by fashioning the bones of magical prey together, and infusing the soul of a hellhound within. Blessed by Linath. Hard to destroy, though magical energy may be drained, unable to be refilled. Description: A broken horn from Neiren herself. When held, has the ability to summon spirits of the damned and dead; usually those killed by demons. Also grants the ability to control War-blood hellwolves. 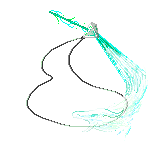 Description: A slender lock cut from the mane of Gurthril in her horse Aspect. Has the ability to cast grand illusions and glamours, usually on oneself. Also grants invisibility when paired with great power. If used too often, or too many times, the strands will begin to disappear, resulting with only the golden band that held them left. Description: A gathering of seashells, pilfered from a several young Yorijian dragons' first hunts. Enchanted to show images of other places and persons when placed in a bowl of water, or larger shells are filled with liquid - the images show up on the water's surface, and the time that each stays for depends on the magic infused within each shell. Description: A round, flat piece of carved jade enchanted with the ability to siphon energy from the surroundings in a set radius - usually twenty feet or less. This affects plants and animals, but does not draw from sapient creatures. Will crack and become useless after repeated uses. 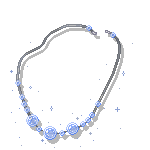 Description: A necklace fashioned from small bones shaped into beads, and small, curved claws. Each bead can be carved with a kv'naer rune, and a specific sealing spell attached - once placed on the victim, this spell will activate. 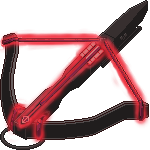 It can do anything from make the wearer become a slave to the carver of the runes, to forcing the wearer to do a specific task or set of tasks. Difficult to take off or destroy. 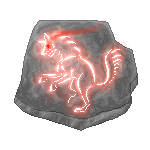 Description: A talisman of stone that has the symbol of a wolf emblazoned upon its surface; the symbol glows brightly red, and gives off heat. 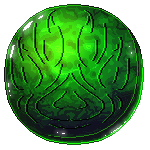 It grants the holder the ability to summon wraiths to fight for or defend them, until the talisman's energy runs dry. May be recharged and used multiple times. These are incredibly rare one of a kind items, to be released IC and claimed by the members at staff's descretion. Usually, items in this class are restricted to large plot events where these are uncovered through a staff member's writing. 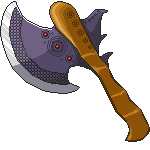 Description: An axe that quadruples the strength of the one holding it, and one that cannot be broken by any means. Created to enhance the abilities of warriors who slew greater demons, dragons, and other such beasts; said to have been made by the very first Demon Lord of War. 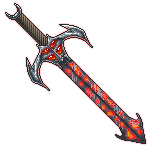 Description: Also known as the Godslayer Blade, its name means 'god's chaos' in Draconic. A beautiful sword forged of bespelled metals and the scales of golden dragons, with rubies set in the pommel. Created by the gods, its only purpose is to kill gods - and it is a weapon of extreme last resort. It is used in tandem with the Godbound Chains, Mirthtira, and locked in the darkest depths of the Void until the Ward who holds them need their power. Description: A set of gloves tipped in poisoned talons. Each claw on a single hand holds a different sort of venom; the first is that of jarza, the second that of a herza, the third that of a zakura, the fourth that of a tuzak, and the fifth - the thumb - that of a riven. Stylized to look like a lion's paw. 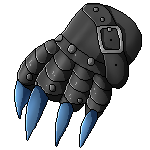 Can change shape to fit the hands or paws of any species, though generates a swift energy drain so long as they are worn. 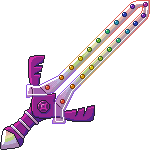 Description: An evil, shape-changing weapon that holds the key that unlocks Death. Whatever form it takes, it is tied to an incredibly powerful and corrosive black-red energy that taints spiritual energy as it destroys it, leaving whatever is left diseased and damaged. Rarely, may take the shape of a feylizard-sized black dragon, though it is normally locked within the black metal or wood of the weapon shape it takes. 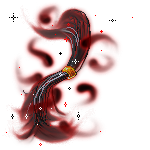 Description: A powerful weapon that houses the soul of Dhath, Lord of the Dark Five. In the shape of a pistol, this weapon can fire energy bullets that eat away at both flesh and soul, destroying whatever it touches completely, and rendering the souls of its victims forever unable to reach the Soulplane. To survive, it is known that the afflicted area must be severed away completely, or the dark energy of Dhath will destroy the entire soul. 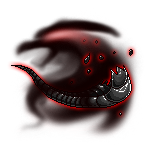 Description: A sacred helm told of in Icemark legend, said to protect the bearer from freezing cold. Forged from a winterdrake skull and fitted into a large man-sized helm, blue and white bone. 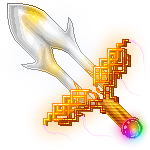 Description: A pure god-weapon in the shape of a gleaming white-metal sword that holds the key to unlock the One. 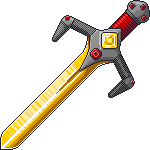 The large sword is built in riveted segments that may come apart, strung together by bright white flame. Often, will travel alongside its wielder in the shape of a small white dragon, no bigger than a feylizard. 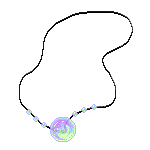 Description: Also known as the Godbound Chains, the original meaning of its name has been lost. A beautiful set of monstrous chains forged of bespelled metals and the scales of golden dragons, able to change size and length according to what it must bind. Created by the gods, its only purpose is to bind gods - and it is an item of extreme last resort. 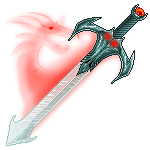 It is used in tandem with the Godslayer Sword, Aynndkhae, and locked in the darkest depths of the Void until the Ward who holds them need their power. 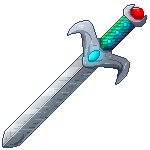 Description: The greatsword of legend, said to have been forged by a dark king of Millirand specifically to slay dragons. Cuts through dragonscale as easily as wings through clouds; sharpest blade known to date. Description: Gift from Neiren, the Goddess of War. 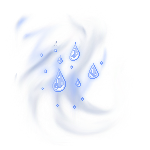 Grants the ability to turn water into fire, and make the stormclouds rain flames. However, requires great sacrifice of one loved to work - the greater the sacrifice, the stronger the power. If no sacrifice is made, may blow up in the wielder's hand. Description: Gift from Lithmor, God of Gluttony. Once held by the former Lord of Hell, Kairn, has the ability to summon and control any dark god. Also houses Lithmor within it. Should it be used, energy must be supplied in full force, for however long the dark god is being controlled. If energy runs out and control is not broken, the wielder's soul is trapped in along with Lithmor - and eventually devoured. Description: Forces one other sentient creature to do the wielder's bidding. There is no fighting against it, and its will is absolute. However, the level and length of control is based on the energy reserves of the controller. Once the strength runs out, if the connection is not broken, the wielder will die. Description: The Shice’en Shir’nova is an item most rare. It is a dagger made of the most precious metals, said to have been created by the long-deceased god, Shiranui. Though it is a weapon of great beauty, it is also a weapon of terrible power in the wrong hands, able to steal and store the souls of its victims with killing blows. Even a single hit is capable of sapping a victim’s reiatsu, making it a force to be reckoned with. The gemstone at its pommel is said to house pieces of every soul it has ever touched. Description: Gift from Dhath, God of Darkness. A shield that absorbs all magic and forces it to backfire on the caster. Works on the wielder of the shield, as well; if any spell is conducted by the wielder, will explode back in the caster's face. 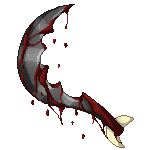 Description: A hand-scythe permanently stained with blood. Known to have slain several hundred dragons in the span of a single war, it grants incredible speed and stamina to the wielder, based on the amount of pain they're feeling. The more they're injured, the more power is granted. 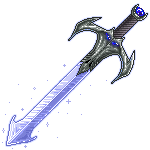 Description: An enchanted weapon from an ancient, long dead Icemarkian hero that has a handle of winterdrake bone and a blade of pure ice, filled with supercooled fluid that, in the unlikely event of a crack or break, will instantly refreeze the blade. Description: Gift of Daecuru, the God of Wrath. 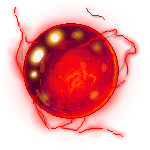 Grants the user a cloak and shield of pure fire, though they are not immune to burning after five minutes of protection. Also has the ability to convert flesh into flame permanently, burning hotter than any sun. Description: Gift from Linath, Goddess of Souls. A fell runeblade with the ability to steal souls and trap them within its glowing metal. 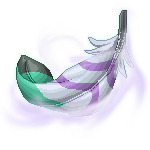 Made as the weapon of a Spirit Reaper to kill and trap the evil spirits of dark-hearted beasts. If wielded by the unworthy, will trap the soul of the wielder. All of BTACD's unique and fantasy metals, examples, and their descriptions, rarity, and origin can be found here! Forged steel darkened to very dark grey or black metal. This darkened metal is highly resistant to corrosion, and sharp edges crafted from darksteel are reputed to never lose their edge, no matter how strenuously they are used. The dark look to the steel comes from a special oil infused into the metal during forging, the composition of which is known only to a select number of smiths. Rarity:: Fairly rare due to the expense of forging it. Origin:: First produced by blacksmiths in Millirand, long ago, and only available from the greatest of smiths. A variant of mithril created by the Halgian people. It's worked at a much higher temperature, and infused with the blacksmith's spells of light. Often infused with enchantments of protection and safety, and said to be blessed by the Ethers. It has a white, pearly substance to it, is highly reflective, and seems to glow even in the darkest of places. Rarity:: very rare. Origin:: the Halgian Empire. Metal that is woven through magical means, and not crafted, by any who have control over metal. Tends to be hardened far past the norm, and can be inlaid with intricate designs and decorated, depending on the metalweaver's skill. Called 'dragonsung' for the first blacksmith who wove it - a dragon who literally sang his metal into shapes, crafting some of the strongest weapons known in this world. A variant of metal that ties steel, silver, and any sort of gemstone together - sometimes, multiple gems may be used. It's crafted through a mixture of traditional smelting and magic, and forms a strong, light metal that gleams with a tint of different colors, depending on what gem or gems were used. Often made in Kurai, in ceremonial battle-armor for War samurai. A silvery metal, harder and lighter than steel. Weapons and armor crafted from mithril are widely held to be some of the finest available due to their light weight and great durability. As hard as it is, mithril is hard to mine, and to forge, as it takes a very hot flame to soften it up for refining and forging. Rarity:: Very rare. Origin:: Deep in some mountains, far underground. Incredibly rare and very beautiful, mythmetal is the purest form of metal, crafted by mythkin from the purest ore within the earth. Very few of other species may attempt to create mythmetal, and the knowledge of its making is a closely-held secret. It's known to have an iridescence like oil, otherwise very light in color. Rarity:: Very rare. Origin:: Unknown. This includes BTACD-specific materials, like original fabrics, woods, and other such things. A rare wood found in places with high magical content. As a tree, it is small and twisted, resembling a large bonsai tree with black bark and white leaves. The wood within is dark as well, shot through with veins of cream. Sikrin has a variety of uses. Sound conducts in a unique way through it, and musical instruments such as flutes, lutes, or violins that are carved from it often have a clear, beautiful sound. Furthermore, running a current of magical energy through it will cause it to draw other materials to it and in turn pull the metal towards that material, based on the kind of magic used. For example, someone who uses fire magic can cause flames to bend towards a sikrin wand, or someone with water magic might use it as a dowsing rod to locate groundwater. Rarity:: Relatively rare. Origin:: Any realm, but only in areas that have a high instance of natural magic. A soft, light, very durable fabric invented by the elves. Silky and smooth to the touch, and able to be dyed with any shade of color imaginable, the fabric is weaved from silk harvested from a very rare plant grown in specially tended gardens, as pure vilam plants are hard to come by in the wild. The elves zealously guard the secret of the fabric from outsiders. Rarity:: Rare. Origin:: Created by the high elves, and found with merchants to sell in their beautiful cities.